The newly converted farmhouse oozes in character. The farmhouse is adjacent to Casa Sammy Farmhouse II forming a cluster with 8 bedrooms. Traditional décor with large wooden beams add to the rustic charm. On 1st floor you have 2 bedrooms (one with ensuite), the living/dinning area and kitchen overlooking the pool and pool area. On 2nd floor there are 2 other bedrooms both with ensuite. 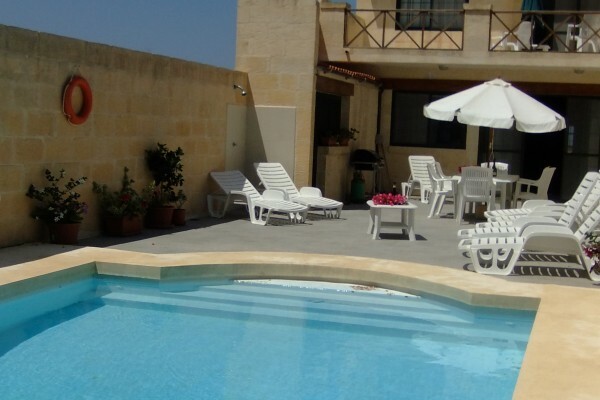 On second floor you have 2 terraces, one overlooking the Citadel and a large one overlooking the pool.